Israeli soldiers imposed, starting on Thursday at night, a tight siege on the town of Beit Fajjar, south of Bethlehem, completely isolating it and kidnapped one Palestinian. The soldiers also kidnapped eleven other Palestinians in the West Bank. The Israeli army said two Palestinian minors were arrested near the entrance to the industrial Zone of Shaar Binyamin colony, in central West Bank. The army claimed the two walked towards a restricted area of the industrial zone before the soldiers stopped and searched them. and reportedly found knives with them. Israeli Ynet News said an initial investigation by the army revealed that the two "intended to carry out a stabbing attack." The soldiers closed all major and minor roads of the town, completely isolating it, and prevented the Palestinians from entering or leaving it. Bethlehem governor Jibril al-Bakri said the siege is an illegal act of collective punishment on the entire town, and all of its residents, in direct violation of international law and basic principles of human rights. Al-Bakri added that the Israeli District Coordination Office made the decision to isolate Beit Fajjar, starting on Thursday evening and that the Israeli side said the siege comes in retaliation for the Thursday attack in Ariel colony, near Salfit in Central West Bank. The incident led to the death of two Palestinians, who reportedly stabbed an Israeli soldier, in her twenties, causing moderate wounds. The two Palestinians are from Beit Fajjar and have been identified as Ali Jamal Mohammad Taqatqa, 19, and Ali Abdul-Rahman al-Kar Thawabta, 20. In addition, the soldiers kidnapped, on Friday morning, two young Palestinian men, identified as Ali Awad Abdul-Jabbar, and Osama Bassam Kharouf, near the al-Jalama roadblock, north of Jenin, in the northern part of the occupied West Bank. The two Palestinians, from Sielet ath-Thaher near Jenin, were standing in an area near the roadblock awaiting the arrival of detainee Husam Abdul-Jabbar, after his release from an Israeli detention center. The soldiers also kidnapped a Palestinian in Hableh town, near the northern West Bank city Qalqilia, one in the al-Jalazoun refugee camp, north of Ramallah, and five others in the southern West Bank city of Hebron. The Israeli occupation forces (IOF) on Friday arrested two Palestinian youths while they were heading to the Jalama checkpoint to receive their newly-released friend. The Palestine Prisoners Center for Studies said in a statement that Ali Abdul Jabbar and Osama Kharuf headed to the Jalama checkpoint, in northern Jenin, to receive their friend Hussam Suleiman, who has just been released from an Israeli jail after serving an eighteen-month-sentence. The Israeli occupation soldiers seized the youngsters’ IDs and dragged them to an unidentified destination without specifying the reasons for the move. Earlier, at dawn time, the Israeli occupation army arrested the Palestinian youngster Islam Shawahneh, from western Jenin, after they wreaked havoc on his home and aggressively attacked his family members. Islam was expected to celebrate his wedding next week. The Israeli authorities early Friday shut down streets across Palestinian neighborhoods in occupied East Jerusalem and detained four in preparation for the annual Jerusalem marathon, locals said. Locals told Ma’an a number of roads were blocked by iron barricades and buses, as thousands of runners joined in the marathon for the sixth year in a row. Four residents of al-Issawiya neighborhood were detained prior to the marathon. Two of them, identified by locals as Fadi Matwar and Jad al-Ghoul, were reportedly warned against being in Jerusalem during the marathon. Al-Issawiya popular committee spokesman Muhammad Abu al-Hummus, who was detained prior to the marathon last year, was also detained Friday morning. Locals told Ma’an that Israeli intelligence also summoned Jihad Oweida, the secretary-general of the National Committee against Normalization. The committee has in the past been a vocal opponent of the Jerusalem marathon for covering over the occupation of Jerusalem. Participants in the marathon run through West Jerusalem as well as segments of Palestinian East Jerusalem, including along the walls of the Old City and historical sites. 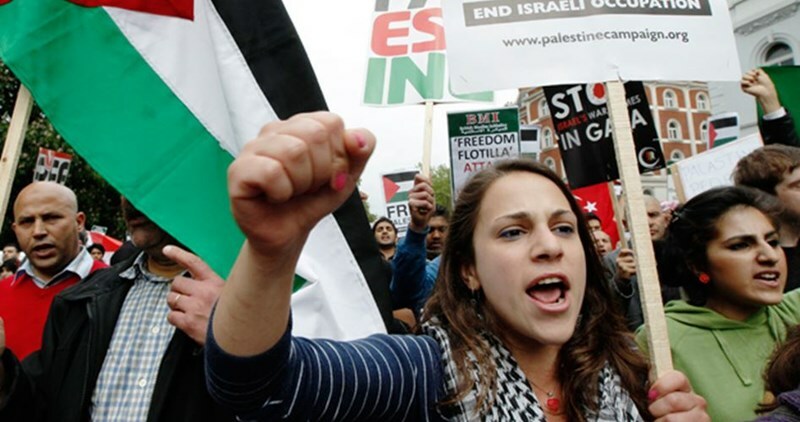 The marathon last year drew swathes of Palestinians to segments of the marathon passing through neighborhoods under Israeli military occupation, with residents waving Palestinian flags and proclaiming slogans supporting Palestinian claims to Jerusalem. 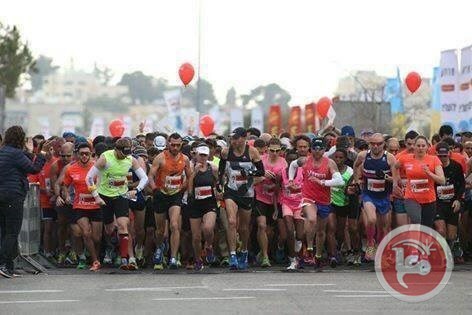 Friday’s marathon comes weeks before an annual marathon is expected to be held in Bethlehem in the occupied West Bank. This year will mark the fourth consecutive “Right to Movement” marathon, which is comprised of two 11 kilometer loops as race organizers were unable to find a contiguous stretch of 42 kilometers due to Israeli restrictions on Palestinian movement. A Palestinian man was shot dead after allegedly attempting to carry out a stabbing attack at the Gush Etzion junction, shortly after two Palestinians were detained on suspicions of planning an attack in the illegal Shaare Benjamin settlement. 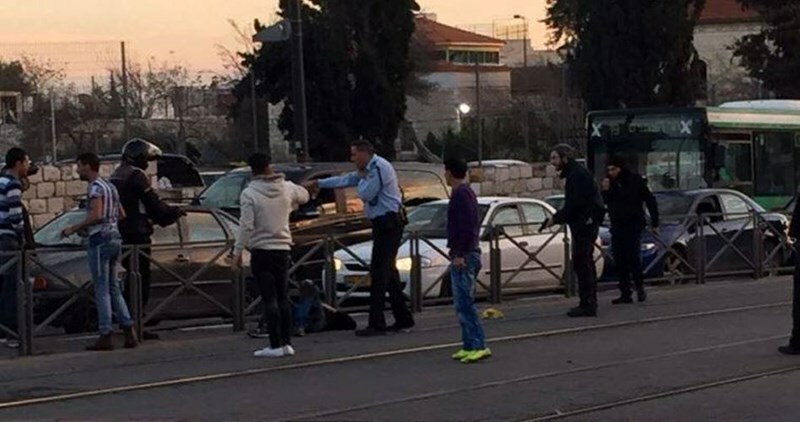 An Israeli army spokesperson told Ma'an that an "assailant armed with a knife exited his vehicle and charged at soldiers" at the Gush Etzion junction southwest of Bethlehem, with soldiers opening fire, killing the man and "foiling" the alleged attack. Witnesses told Ma'an that Israeli forces opened fire on and killed a Palestinian man in his 20s while he was driving near the junction. One witness said the Palestinian had been driving alongside an Israeli settler who stopped his car at the junction in order to speak to soldiers there and pointed to the Palestinian's car. The witness said the Palestinian also stopped his car and had just stepped out -- "not holding anything in his hands" -- when Israeli forces opened fire, killing him on the spot. The Palestinian was identified as Mahmud Ahmad Abu Fanunah, 21, from the Hebron district. Shortly afterward, Israeli police said they detained two Palestinian minors near the entrance of the industrial zone of the illegal settlement of Shaare Binyamin northeast of Jerusalem for allegedly carrying knives. The youths raised the suspicions of the forces, who searched them and found two knives in their possession, al-Samri said, adding that "initial investigations" indicated they had been planning to carry out a stabbing attack. The Palestinian youths were taken into custody, and Israeli forces were searching for the individual who drove them to Shaare Binyamin, al-Samri said. 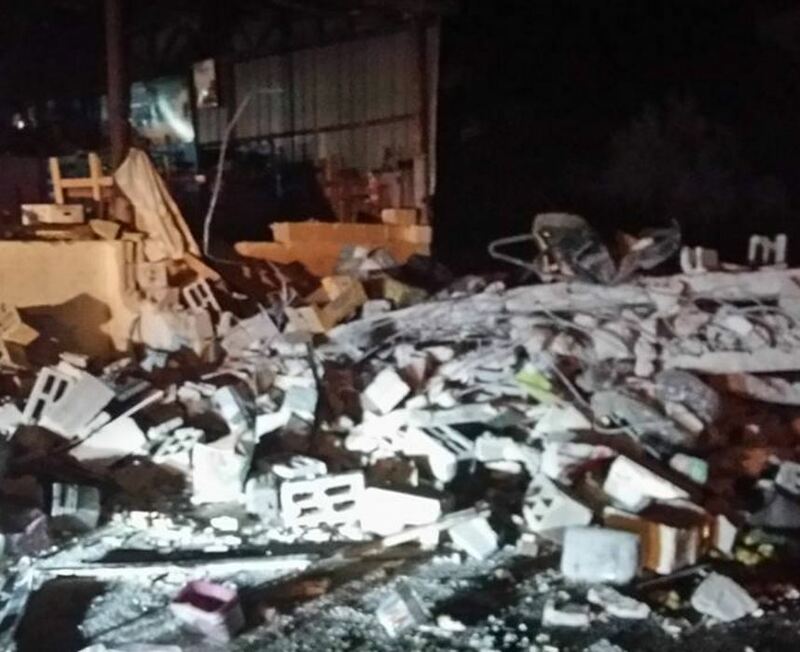 The locations where both Friday's incidents took place have been the site of a number of deaths since a surge of violence in the occupied Palestinian territory last October. The Gush Etzion junction -- the entrance point to the illegal Gush Etzion settlement bloc -- has seen numerous deadly encounters that have left over 10 Palestinians and three Israelis dead. Last month, two 14-year-old Palestinians were shot dead after carrying out an attack in a Rami Levi supermarket located in Shaare Benyamin industrial zone that killed one Israeli. Israeli soldiers imposed, starting on Thursday at night, a tight siege on the town of Beit Fajjar, south of Bethlehem, completely isolating it and kidnapped one Palestinian. The soldiers also kidnapped nine other Palestinians in the West Bank. Isolated Palestinian detainee Nahar al-Saadi has been on an open-ended hunger strike for four days in protest at being transferred to the Israeli Ohlikdar solitary lock-down and mistreated by prison authorities. 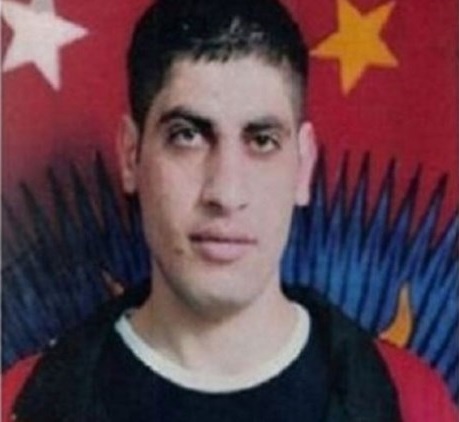 Prisoner al-Saadi said in a letter published by the Muhjat al-Quds Foundation for Prisoners that he was transferred to the Ohlikdar solitary confinement without prior notification. Al-Saadi added that Israeli prison units and Yamas soldiers stormed his cell and ordered him to take off his clothes. As he rejected their arbitrary order, the prison troops aggressively attacked him and transferred him to an isolated cell. According to the detainee, strip search is a tactic often pursued by the Israeli prison authorities to dampen the prisoners’ spirits. Al-Saadi vowed to step up his protest moves and keep up the hunger strike until his isolation is ended. The Muhjat al-Quds Foundation urged all human rights institutions nationwide and overseas to exert pressure on the Israeli occupation so as to stop its arbitrary policies against Palestinian detainees. 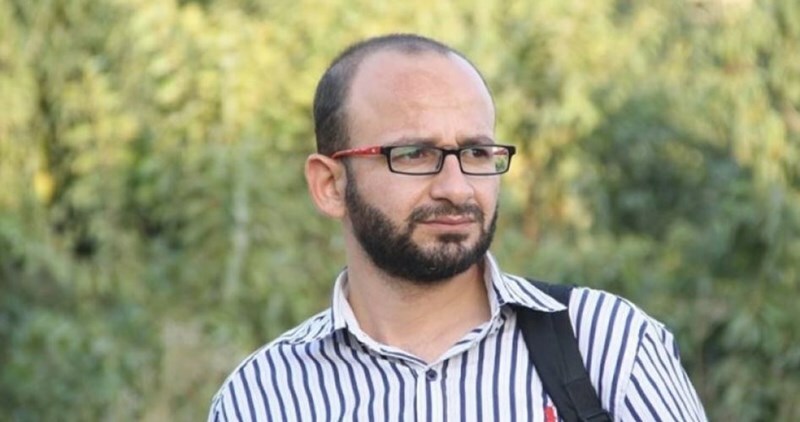 The foundation also called for ending al-Saadi’s solitary confinement after four years of excruciating isolation and for restoring his right to family visits. Prisoner al-Saadi, born on October 30, 1981, was arrested on September 15, 2003. He was accused of involvement in anti-occupation attacks against Israeli soldiers and sentenced to four life sentences and 20 years in jail. He has been diagnosed with severe pains in his stomach and back. The Israeli occupation forces (IOF) on Thursday kidnapped two Palestinian youngsters from the southern West Bank province of Bethlehem. Local sources said 24-year-old Issa Fawaghreh and 27-year-old Mahmoud Fawaghreh, were kidnapped by the IOF from their workplace in a marble factory. Both arrestees were dragged to an unidentified destination shortly afterwards. 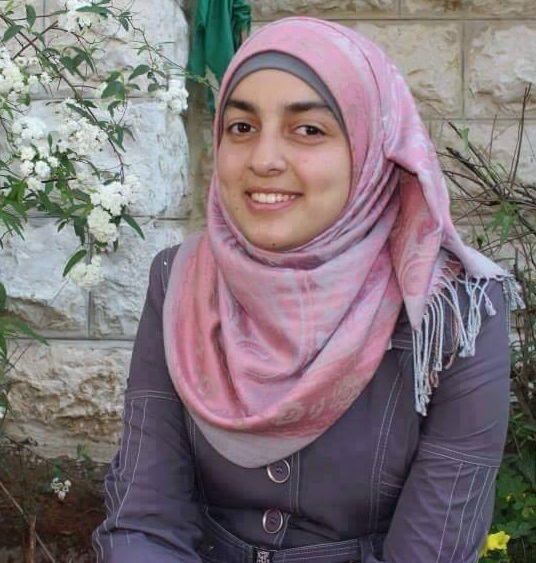 Israeli Occupation Authority released the Palestinian female captive Asma al-Qadah, 21 years old from Nablus city, after being detained for three months. The family of Qadah told the PIC reporter that the release decision followed an appeal filed with the Israeli Supreme Court not to renew the order of administrative detention against her. The family said that their daughter was held under bad detention conditions in Hasharon jail after Ofer military court issued an administrative detention order against her in absentia. Qadah was arrested at Zaatara military checkpoint to the south of the city while she was going to Birziet University on December, 09, 2015. She is the secretary of the cultural committee in the university's students union. 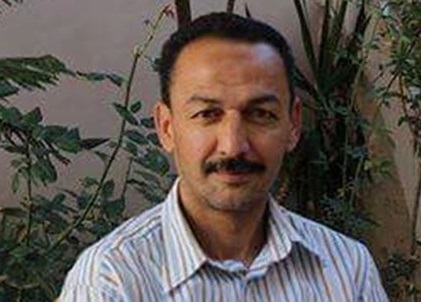 Abdulkarim al-Qadah, the father of the ex-detainee Asma, is detained in Israeli jails and sentenced to five months. The Israeli occupation Forces (IOF) stormed at dawn Friday Sillat Harthiya town west of Jenin and arrested a young man before brutally assaulting his family. 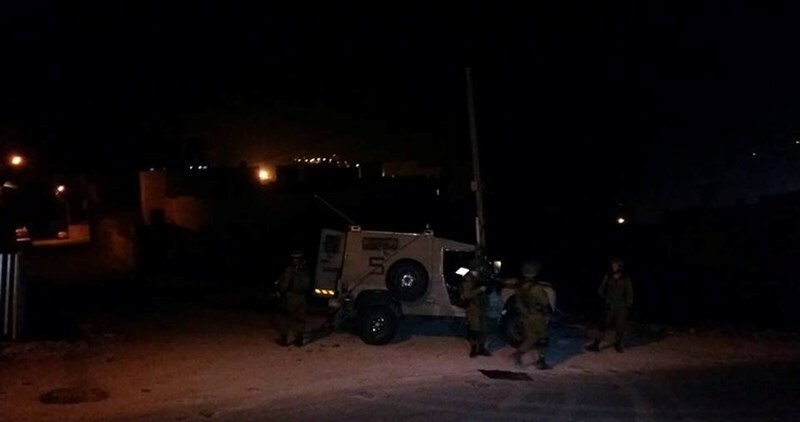 Local sources told the PIC reporter that IOF soldiers in a number of Israeli military vehicles broke into the town at 2 a.m. and violently stormed and searched a local home. Islam Shawahneh, 23, was arrested during the raid and taken to an unknown detention center. Shawahneh was preparing for his wedding scheduled to be next Thursday. Combing and search operations were also carried out in the area till morning hours. 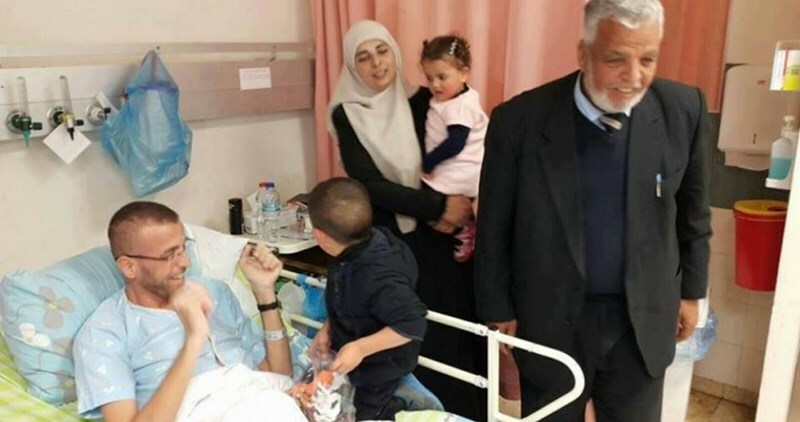 The family of the Jerusalemite captive Firas Sadik Ghanem, 41, revealed that he has recently experienced a severe heart attack in Israeli jails that led to the deterioration of his health condition. The family appealed to competent authorities to save his life. Sadik, the captive’s father, said that his son is suffering from deliberate medical negligence by the Israeli Prison Service (IPS). 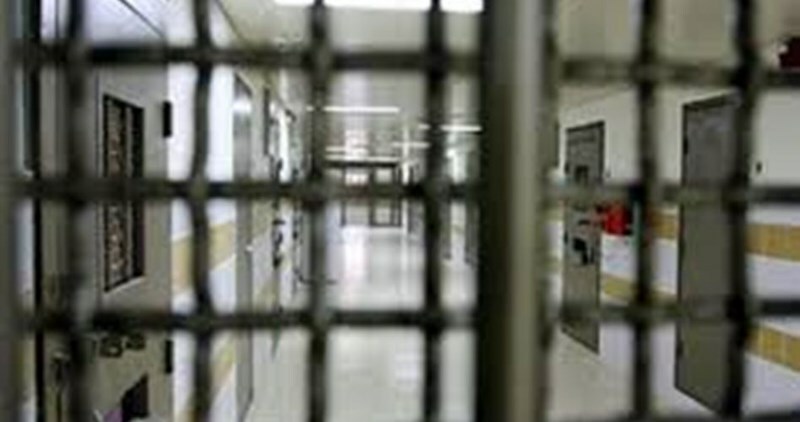 The father revealed that his son is detained in the Israeli jail of Gilboa under harsh detention and health conditions. 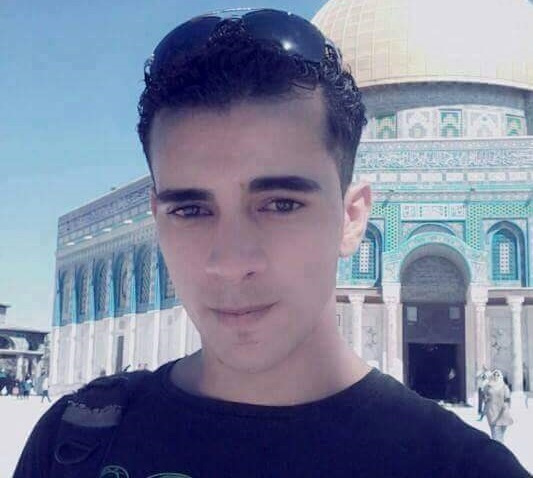 Detainee Firas Ghanem is from Kafr Akab town in northern Occupied Jerusalem. He has been detained since 2002 and sentenced to life imprisonment for nine times. 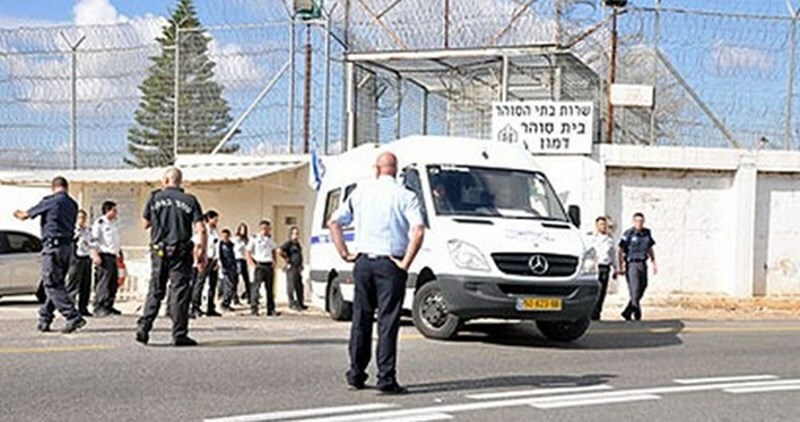 The occupation authorities suspended the social security allowance of three Jerusalemite prisoners from the village of Sur Baher after accusing them of causing the killing of an Israeli settler after throwing stones towards his vehicle last September. Wadi Hilweh Information Center was informed by the families of three Jerusalemite prisoners that the social security organization sent them letters informing them about suspending the social security allowance of their children; Mohammad Salah Abu Kaf (18), Walid Firas Al-Atrash (19) and Abed Mahmoud Dwayyat (20). The Israeli Minister of Interior had decided last January to suspend the “residency” (IDs) of the three Jerusalemite prisoners. The Commander of Internal Front in the occupation army had also issued decisions last February to close and seize the house of four Jerusalemite Martyrs (the above mentioned and 17-year old Mohammad Jihad Tawil). The families denounced the Israeli harassment for them and their children before even issuing the final sentence against the prisoners. Israeli soldiers invaded, late at night and on Thursday at dawn, several areas in the northern West Bank district of Nablus, kidnapped six Palestinians, including two children, and demolished six stores. The army also invaded Iraq-Burin town, south of Nablus, and kidnapped a child, identified as Yazeed Ayesh Qadous, 15, after storming his family’s home and searching it. Another child, identified as Mohammad Fateh Qadous, 15, also from the town, was kidnapped after being summoned for interrogation in a military center in Ariel colony. In addition, the soldiers kidnapped a young man, identified as Amjad Emleitat, from Beit Forik town east of Nablus, after stopping him at a military roadblock on the main entrance of the town. The soldiers invaded and searched many homes in the town, and collected the names and ID card numbers of many residents, especially from the families of Emleitat and Najajra. The army issued the demolition orders more than a month ago and destroyed the properties before discussing appeals filed by the owners. Four Palestinian detainees held in the Israeli Etzion lock-up have been harshly tortured by the Israeli prison authorities, a rights group reported Thursday. Lawyer Jacqueline Fararjeh, from the Palestinian Prisoners Society (PPS), said 21-year-old Abdul Rahman Alyan, from Ramallah, was heavily beaten after he had been kidnapped by the occupation troops from his own family home in the late evening hours on Wednesday. Prisoner Alyan had been detained in an Israeli military camp for 24 hours, during which he had been aggressively beaten in his head and feet. Lawyer Fararjeh further quoted prisoners Muhammad Yasser Jabarin, 21, Ahmad Amer Abu Jawdeh, 18, and Mousa Muhammad Jaafar, 35, as saying that they were aggressively beaten by soldiers’ boots and rifle butts. Bruises and injuries reportedly showed on Jaafar’s body. The Israeli occupation forces (IOF) at dawn Thursday kidnapped the father of martyr Qasem Jaber from his home in al-Khalil city and took him to an undeclared place. Local sources said that soldiers broke into and ransacked the home of Jaber in al-Khalil and kidnapped his father. Jaber was killed last Monday at dawn by Israeli soldiers after he and two others carried out shooting and car-ramming attacks at the entrance to Kiryat Arba settlement. Al-Qassam Brigades of Hamas claimed then that Jaber was one of its members in the West Bank. The Palestinian ex-prisoner Sheikh Baker Bilal, 51, died at dawn Thursday only few days after his release from Israeli jails. Sheikh Bilal was arrested more than once in Israeli jails and spent a year and a half in administrative detention before being released earlier last month. His three brothers were also held in Israeli jails and one of them is still held behind Israeli bars. His mother, son, and brother’s wife were also detained in Israeli jails. Sheikh Bilal died after suffering a heart attack while praying, his family said, pointing out that he will be buried today in Nablus. A state of tension prevailed between Palestinian prisoners and jailers in Nafha jail after special prison forces assaulted detainees from section 11 on Wednesday, according to the Palestinian Prisoner Society (PPS). The PPS said that soldiers from Dror unit violently stormed a room in section 11 of the jail, herded its inmates together to the prison yard and forced them to stay there in the cold from 12 o'clock at night to four in the morning. Consequently, the prisoners in the jail decided to close all sections and refuse to stand for daily count in protest at what happened to their prison mates. The Israeli Occupation Forces (IOF) broke into a number of towns in Nablus overnight and at dawn Thursday, arresting several youths. A number of local houses were brutally stormed and searched in Beit Furik town east of the city, while a young man was arrested at Beit Furik checkpoint. Two youths were arrested in Assira town north of the city including an ex-detainee. Two others were rounded up in Iraq Burin town including a minor who was summoned for investigation before his detention. Along the same line, IOF soldiers demolished at dawn today the vegetables market in Beita town. A month ago, Israeli forces notified eight store owners to stop construction of their shops. However, Israeli forces stormed the area at dawn and demolished the whole market. Israeli Central Court of Jerusalem issued on Wednesday sentences to three years of imprisonment against seven minors after charging them with throwing stones at Israeli vehicles in northern Occupied Jerusalem last year. 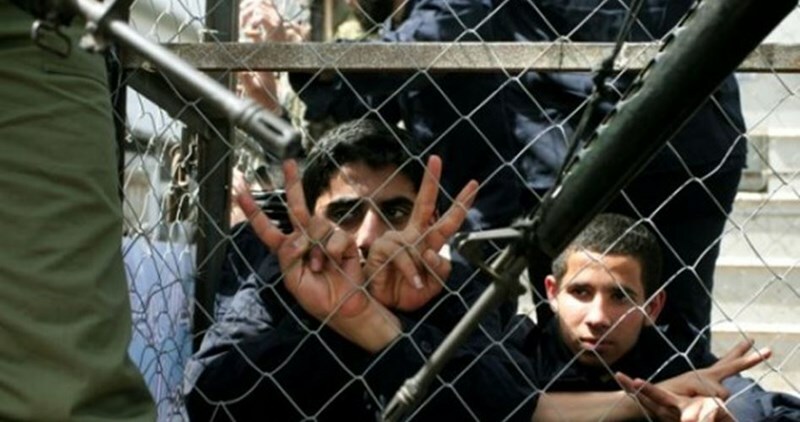 The society of the families of Jerusalemite prisoners revealed that the minors’ ages ranged between 14 and 17 years and the sentences against them varied between 12 and 39 months. The court’s verdicts will be activated on April 17, the society pointed out. 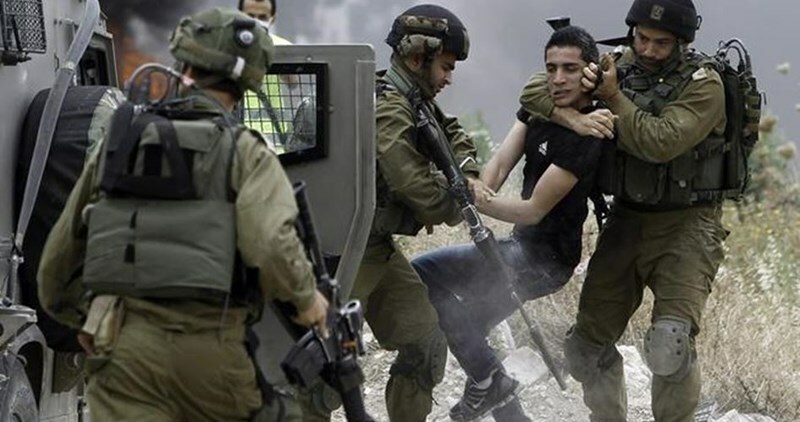 Israeli forces arrested the seven juveniles on June, 23, 2015. Two weeks later, they were released then turned to house arrest on July 05. 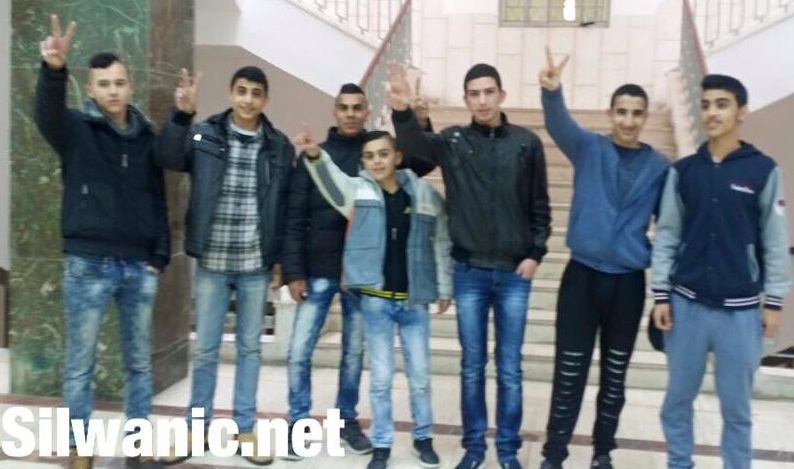 The District judge sentenced on Wednesday morning 7 Jerusalemite children for actual imprisonment for periods between 12-39 months on charges of throwing stones towards settlers’ vehicles while passing through Beit Hanina Street north of Jerusalem. Lawyer Mohammad Mahmoud explained that he District judge sentenced 7 children aged between 14-17 years after they have been under open house-arrest for the past 8 months. Lawyer Mahmoud added that the judge sentenced 16-year old Ashraf Ishtay for 39 months of actual imprisonment; 14-year old Mohammad Ahmad Jaber and 14-year old Murad Raed Alqam for 36 months; 17-year old Mohammad Na’el Tayeh and 16-year old Zeid Ayed Tawil for 28 months; Yazan Hani Ayoub for 14 months and 14-year old Omar Rani Yassin for 12 months. The lawyer explained that the children were arrested last June from the neighborhood of Beit Hanina and were detained at Al-Maskobyeh police center for two weeks before being released under conditions of a bail and open house-arrest until completing the legal procedures against them. Several court sessions were held for the children recently until the final sentence was issued on Wednesday morning; the lawyer pointed out that he will appeal the prison sentences at the Israeli Supreme Court. Israeli soldiers kidnapped, on Wednesday at dawn, at least nine Palestinians in different invasions targeting Palestinian communities, in different parts of the occupied West Bank. The soldiers also kidnapped a Palestinian, on Tuesday evening. 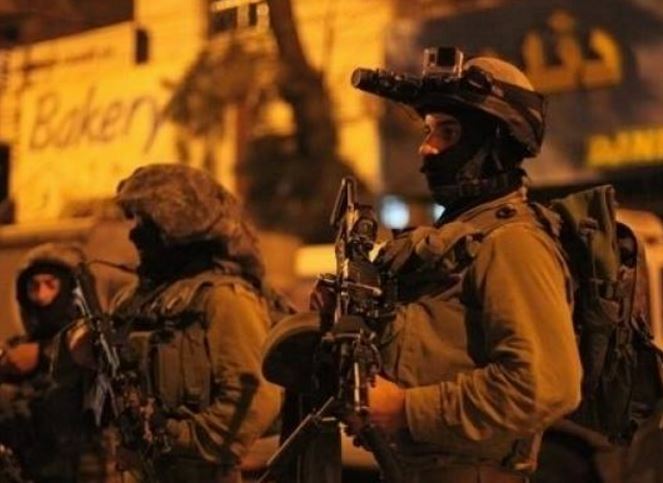 The Popular Committee in Hebron, in the southern part of the West Bank, said the soldiers invaded Beit Ummar town, north of Hebron, searched many homes and kidnapped two Palestinians, identified as Ahmad Amer Abu Jouda, 19, and Khalil Sheeban Abu Ayyash, 21. 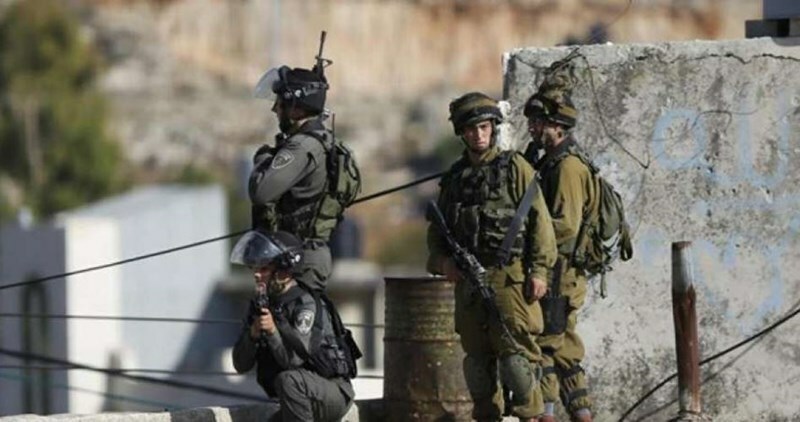 The soldiers also invaded the Sawahra ash-Sharqiyya town, east of occupied Jerusalem, and kidnapped three Palestinians, allegedly for manufactory weapons in a homemade workshop. Israeli military sources said the soldiers confiscated a rifle, a pistol and a large sum of bullets. The soldiers also kidnapped a Palestinian child, 15 years of age, from the Shu’fat refugee camp, northeast of Jerusalem, after he jumped over a wall to avoid crossing through a military roadblock, on the main entrance of the camp. According to the Israeli army, the soldiers searched the child and located a knife in a bag he carried. 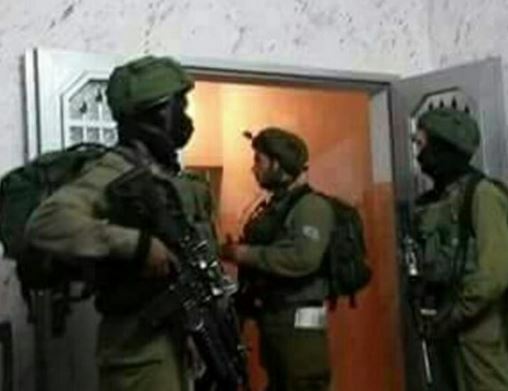 In the northern West Bank district of Nablus, the soldiers stormed and searched many homes, and kidnapped three Palestinians, including a lawyer and a former political prisoner. 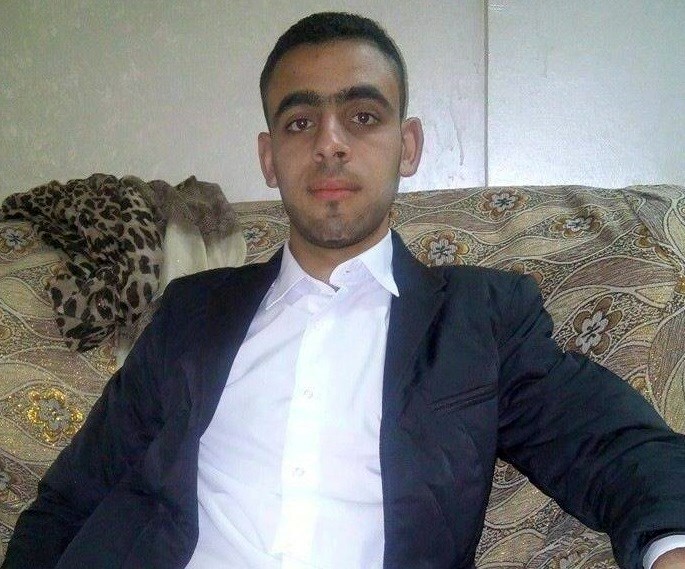 The Palestinian Prisoners Society (PPS) said the soldiers invaded the home of lawyer Ja’far Sami ath-Thaher, 25, in Beit Eeba village, west of Nablus, and kidnapped him after searching his property, causing excessive property damage. 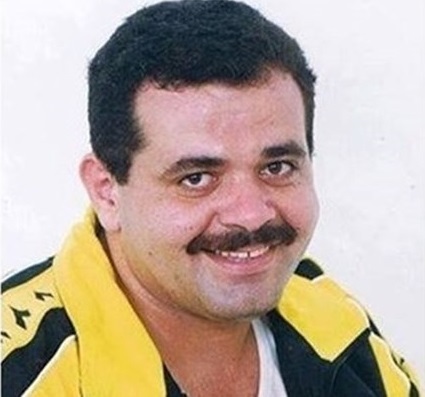 The PPS added that the soldiers invaded Aseera al-Qibleyya town, south of Nablus, searched homes, and kidnapped a former political prisoner, identified as Mohammad Yahya Saleh. The soldiers also kidnapped a Palestinian, identified as Ja’far Jamal ‘Emla, 19, from Qabalan town, while trying to cross the Huwwara roadblock, south of Nablus. On Tuesday evening, the soldiers kidnapped Bilal Tareq Hamed, 23, from Silwad town, east of the central West Bank city of Ramallah, after stopping him on a military roadblock, installed on the main entrance of the town. Israeli police forces on Wednesday morning detained a Palestinian child in Shufat refugee camp, in Occupied Jerusalem, alleging that he was planning to carry out an anti-occupation stabbing attack. Israeli police said in a statement border guards stationed near the Shufat refugee camp noticed a Palestinian child trying to jump from a wall in what they claimed was a bid to bypass the security checkpoint. A unit of border guard police approached the boy and arrested him, the statement added. The child, a resident of the Shufat camp, had allegedly been hiding a sharp knife and intending to carry out a stabbing attack against the Israeli occupation officers. The Palestinian minor is reportedly in his 14’s of age. He has been transferred to an Israeli investigation center pending further questioning. 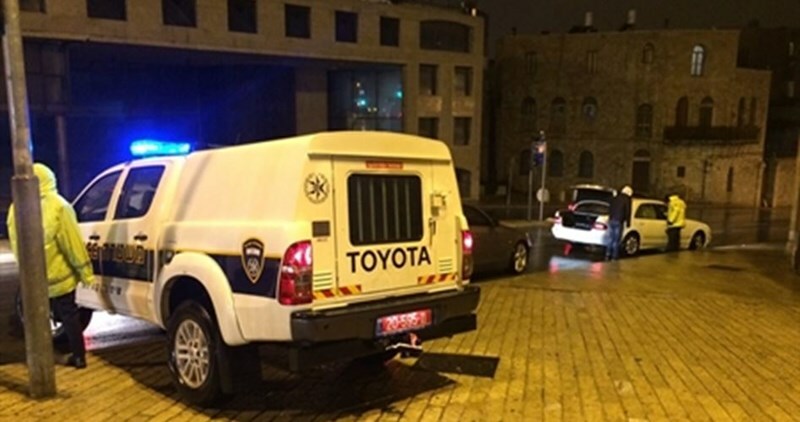 The Israeli occupation forces (IOF) on Tuesday evening arrested a Palestinian civilian near the illegal Israeli settlement of Maaleh Adumim, in eastern Occupied Jerusalem, after they allegedly found remnants of an arm in his car. 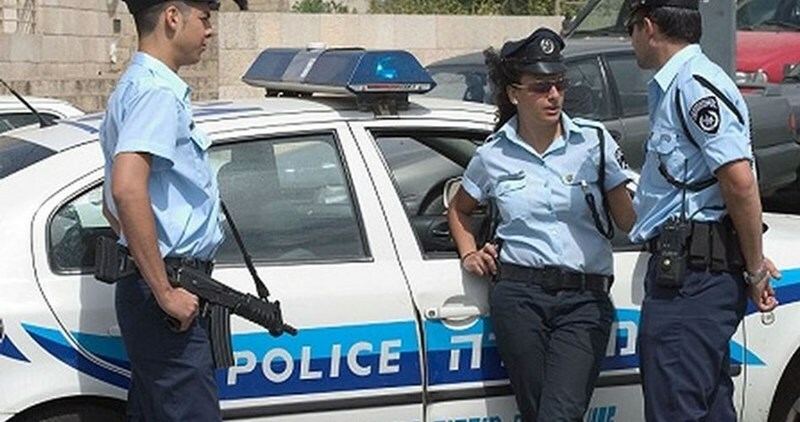 The Israeli 0404 news site said the IOF arrested a Palestinian citizen on allegations that leftovers of an M16 weapon were detected inside his car at a military checkpoint near the aforementioned settlement. The arrestee was dragged to an Israeli detention center pending further investigation. Meanwhile, clashes flared up in Ourata, in southern Nablus, after the IOF rolled into the town and cracked down on Palestinian youths, activist Ali Louleh told the PIC. The occupation troops stopped a number of Palestinian youngsters and forced them to lie on the ground under the pretext of searching for Molotov cocktail throwers. The Israeli Occupation Authorities (IOA) claimed Wednesday the discovery of a weapons manufacturing lab in Sawahra town in occupied Jerusalem. Equipment used in the production of weapons was allegedly discovered after Israeli police forces and border cops stormed Sawahra town late Tuesday, Israeli police claimed. According to the police’s allegations, three suspects were arrested and multiple makeshift weapons, cartridges and ammunition from the scene were seized during the search. IOF launches raid, arrest campaign across W.B. The Israeli Occupation Forces (IOF) stormed at dawn Wednesday different towns and cities across the West Bank, arresting six Palestinians. In al-Khalil, two Palestinians were arrested after Israeli forces violently broke into Beit Ummar town. A third detainee was reported in Ramallah after being stopped overnight at a make-shift checkpoint. Several homes were also stormed and searched in Salfit and Bethlehem. Two other men were arrested in Nablus to the north of occupied West Bank. A lawyer and an ex-prisoner were among the reported detainees. Three Palestinian prisoners Tuesday morning suspended their hunger strike after reaching a deal with Israeli Prison Service management stipulating not extending administrative detention order against them again. 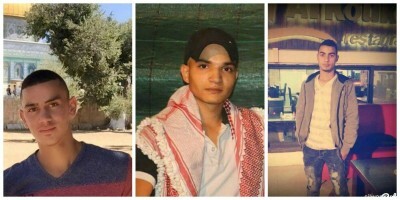 Issa Qaraqe, head of Detainees and Ex-detainees committee said, in a statement on Tuesday, that the three captives are Mahmoud al-Fasfous, Karam Amer, and Alaa Rayyan. They started their open-ended hunger strike in early February, 2016, he added. Qaraqe pointed out that there are two other prisoners, Yazan Hanani and Sami Janazra, who are still on hunger strike in Negev jail in protest at being held under illegal administrative detention with no trial or charge. Israeli soldiers invaded, Wednesday, the ash-Shurfa area, between al-Khader and Batteer towns, west of Bethlehem, and demolished a Palestinian home. The army also kidnapped a Palestinian near Ramallah. Several army vehicles invaded the area, surrounded a home, before forcing the family out, and demolished a home, belonging to Jouda Masood Mousa, allegedly for being built without obtaining a permit, from the Civil Administration Office, that run’s Israeli occupation of the West Bank. The demolished property was a 200 square/meter two-story building that was completely constructed and furnished. The area in question is subject to frequent Israeli violations, especially over the past few years, leading to demolishing many homes, in addition to several outstanding orders targeting many homes, and similar orders to stop the construction of other buildings. The ash-Shurfa area is considered the link between Bethlehem city and its communities in the western countryside. It is worth mentioning that the army also demolished and agricultural structure, belonging to resident Amer Hussein al-Kamel, in Wad Rahhal village, southwest of Bethlehem. 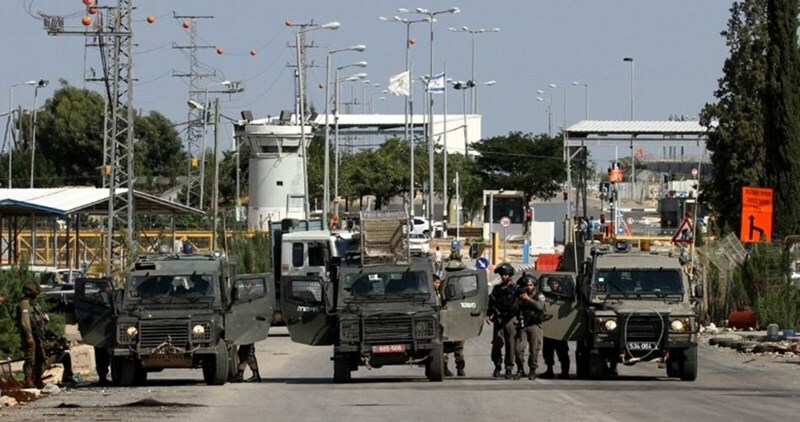 On Tuesday evening, several army vehicles invaded Silwad town, east of Ramallah, and kidnapped Bilal Tareq Hamed, 23, after stopping him on a sudden roadblock the soldiers installed on the main entrance of the town.